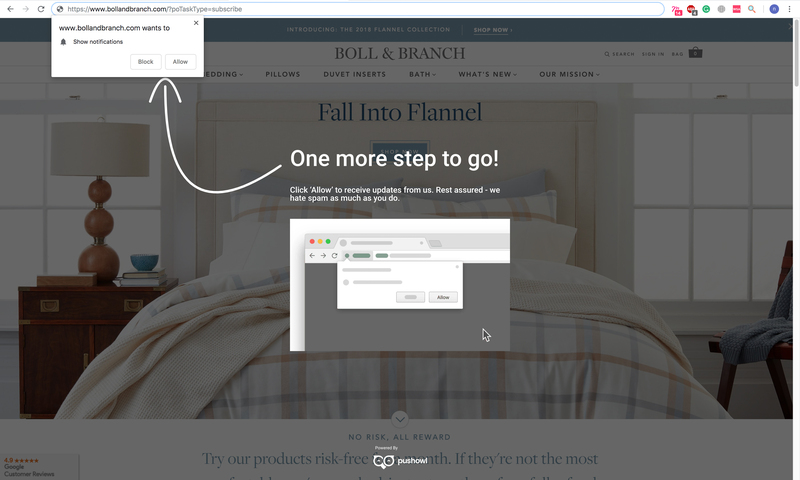 Before your push notifications can be sent to your visitors, your visitors need to agree to receive notifications through the browser prompt. 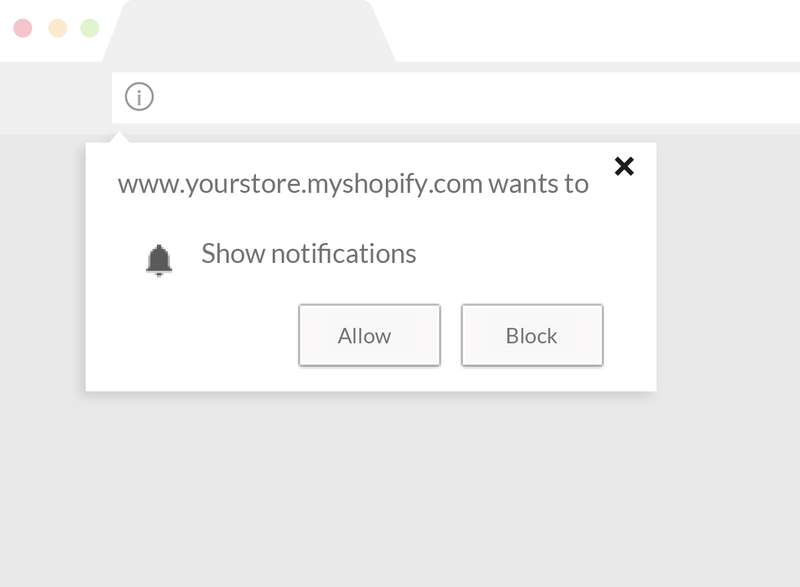 The browser prompt gives visitors an option to either ‘Allow’ or ‘Block’ push notifications from the online store. 1. They are not customizable. This limits you from encouraging your visitors to become subscribers by offering them discounts or other incentives. 2. It’s difficult to re-subscribe. Sometimes visitors block notifications when they are visiting an online store for the first time, but they might change their mind later. Since the browser prompt doesn’t pop up again if the visitor blocked it, you potentially lose out on gaining more subscribers. However, there is a workaround to this problem - the Flyout Widget. To make sure you have the chance to convert every visitor on your store, the Flyout Widget allows you to show a custom message to your visitors, which asks them to subscribe to your notifications. How can a visitor become a subscriber if they block notifications? If a visitor had already blocked notifications when the browser prompt first came up, the prompt wouldn't be shown again. In this case, the flyout widget can convert these visitors into subscribers. If a blocked visitor clicks on the flyout widget, they will see a hint screen with steps to on how they can subscribe. Unlike the browser prompt, the flyout widget is customizable and allows you to send offers that can convert your visitors into subscribers. You can add a catchy message here or offering your visitors a discount code. If your visitor declines, the flyout widget will still try to get them to subscribe later. This is an option that the browser prompt does not allow. When should I use only the browser prompt and disable the flyover widget? You might be using different apps which take up the same space as the PushOwl widget. In this case, it's better to disable the widget and use only the browser prompt to give your visitors a better experience. Will the flyout widget always appear on the store? No. the flyout widget does not appear in Incognito or private browsing modes. These browsers do not support web push notifications since they block browser prompt entirely, so showing the flyout widget doesn’t offer any benefit in this case.